For anyone who has popped over here before, you may have noticed the lack of snow. This is because, although there is snow in TELL THE TRUTH (I like snow), the snowflakes really suited HER LAST LIE. It was a tough decision to stop it snowing on my website, and I’m still missing it, truth be told. Anyway, onto more serious stuff! Sadly, real life has been getting in the way of my writing over the last few weeks, and I’ve been struggling a bit with brain overload. But I feel today I may be getting there, and novel 3 is beginning to take shape. I’m getting to know the characters, and working out their fates – some are in for a very rocky ride – and the settings are all worked out. Only another 60,000 words to write before the end of February! Aside from not writing as much as I would have liked, some exciting things have been happening. One of those is to do with HER LAST LIE, but I’ve got to keep that under my hat for a wee bit longer, but I hope to share it very soon. Also, TELL THE TRUTH is out in just under two weeks on 13th December. It seems amazing that I will have two books out there! TELL THE TRUTH is also going to be available in paperback in February, which is a dream come true. If you would like to pre-order here are the links to Amazon. 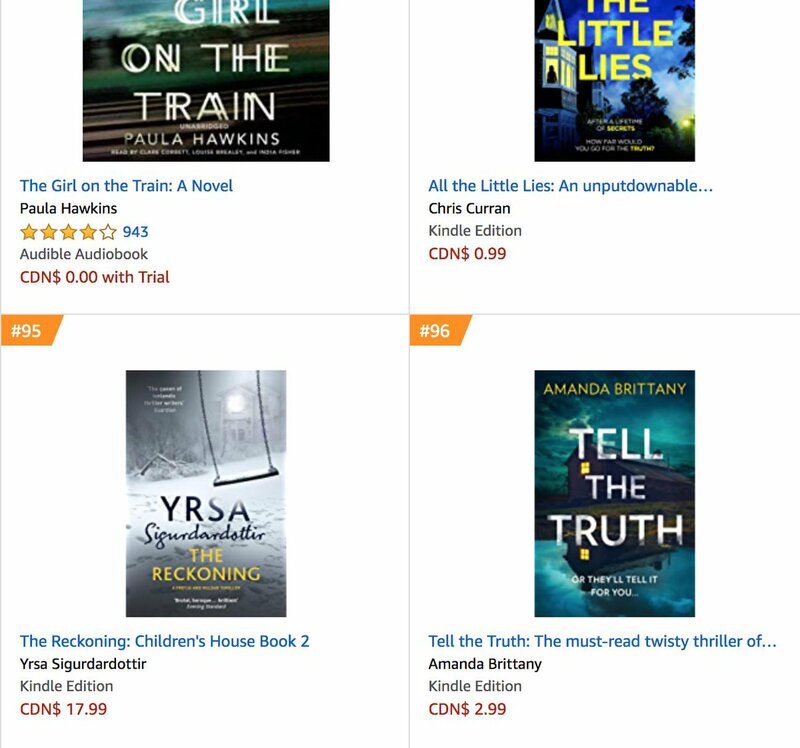 HER LAST LIE is still selling well, which is amazing! And I’ve almost raised £7000 for Cancer Research UK, in my sister’s memory. My dream is to raise £10,000 – but there’s a fair way to go yet, and I don’t want to appear greedy. I was thrilled that HarperCollins took TELL THE TRUTH to the Frankfurt Book Fair in October. Unfortunately nothing came of it, but TELL THE TRUTH was very pleased to be invited. For anyone who may be interested in the settings of TELL THE TRUTH, I updated my BLOG a little while ago, where I talk about settings, and particularly those in my novels. HERE is the link if you would like to pop over. I was also thrilled to see one of my stories pop up on the My Weekly website HERE. I’ve had a couple of lovely outings to London this month. The first was to HarperCollins in The News Building in London, followed by lunch with my lovely editors. I was also lucky to be given a pile of lovely books to read, which I can’t wait to dive into. The second trip up to London was yesterday, to meet my lovely writer friend, Karen Clarke for lunch. Later we met up with lots of lovely writers, including Belinda Missen who had just travelled from Australia, at Waterstones, Piccadilly. Karen Clarke and Belinda Missen. I think that’s about it from me. If you read TELL THE TRUTH and enjoy it, please do leave a review if you have the time. You can do so on Amazon, IBooks, Kobo, Waterstones or Goodreads. It really does make such a difference. Have a wonderful Christmas everyone. TELL THE TRUTH Or they’ll tell it for you. TELL THE TRUTH & A very merry Christmas. TELL THE TRUTH. OUT NOW! 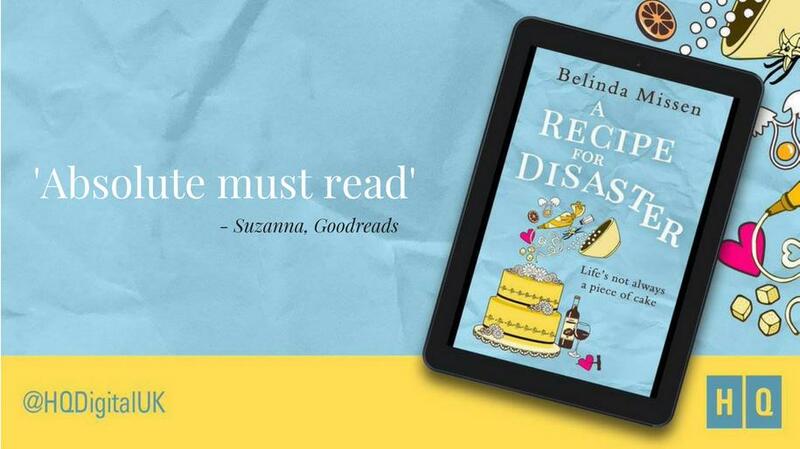 RT @belinda_missen: A Recipe for Disaster is full of cake, friendships, romance, and gorgeous Australian coastlines.